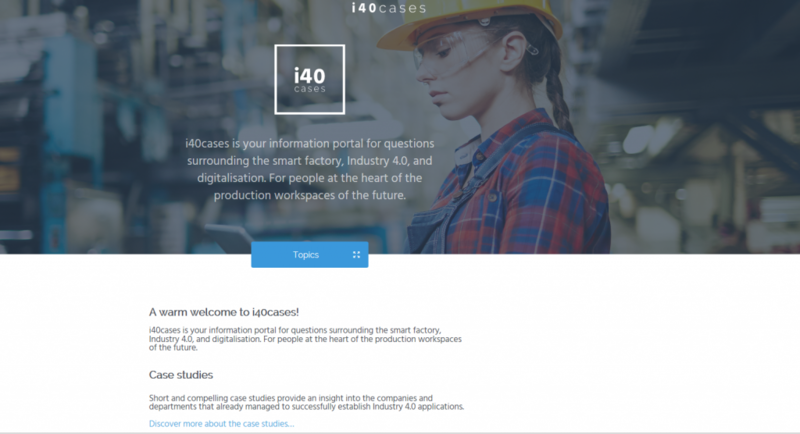 Well documented case studies, applications and introduction methods around the topics smart Factory, Industry 4.0 and digitization for humans at the center of the production workplaces of the future – all this can be found on the platform i40cases (http://i40cases.com ). The idea behind the i40cases platform is to inform interested parties and to pass on and develop extensive knowledge from industrial and research projects. From now on, the information on http://i40cases.com is also available in English. 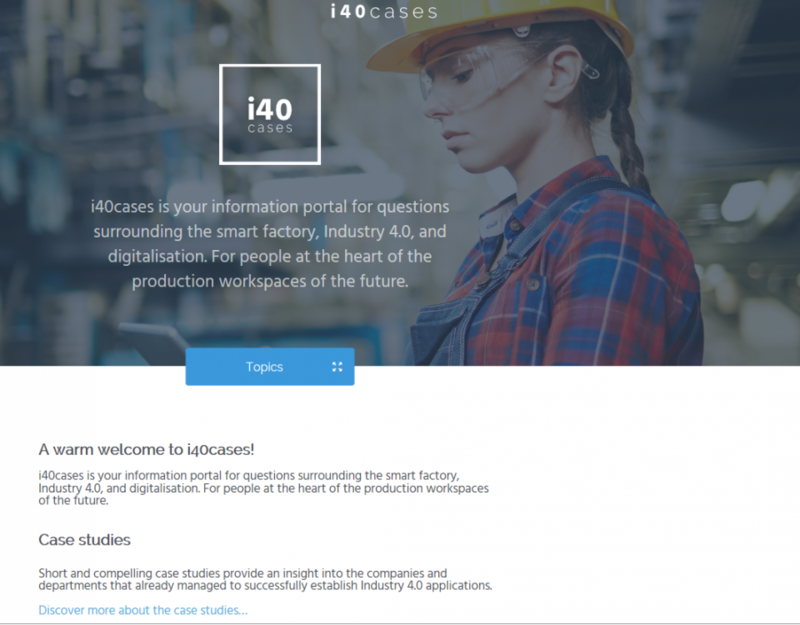 i40cases is primarily aimed at decision-makers in medium-sized companies or departments in larger corporations, but also scientists, teachers, students and media representatives interested in Industry 4.0, who want to pick up and further process the content. Read more about i40cases on our blog at http://i40cases.com/news/new-platform-i40cases-informated-to-industry-4-0/.